Tina’s yoga journey started over a decade ago, as a means of wanting more balance. It was here that she found the love of yoga and started incorporating yoga into her everyday life. “ I started this journey with one thing in my heart, a vision to heal others. I’ve been driven by wanting to create what I wish existed, I wanted to develop something meaningful. I connected with the practice on a deeper level, outside of the perceived “fitness trend”, I turned to my mat for deeper healing and in a life-changing way the practice ignited my greatest purpose: to serve and give back to others”. Tina created spaces and practices for others to retreat, in a town where nothing much in the way of health and wellness or yoga really existed, there were very few yoga spots or places to retreat. 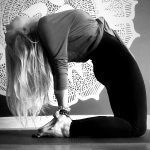 She started teaching in 2011 and went on to open her own yoga studio in 2013 and it was here that her practiced continued to grow and spread with many of her own students training alongside her practice and becoming yoga teachers themselves. Life now in this modern world is so fast, society has and is pushing so many of us into conformity, added pressures, stress, demands and suffering, constantly stripping us from our natural state of health, freedom and peace. Our bodies are simply not designed to live in the rat race of daily stress. Tina knows that the lessons she learns on the mat directly translate into navigating life off of the mat, she too relies on her yoga practice to return to her breath, find balance, create strength and reconnect to her body. Tinas journey through life and her passion for yoga has inspired her to create movement as medicine and healing for others to physically and emotionally reconnect to their bodies and learn how to find peace even where there are challenges. In her everyday life, Tina is a play-at-home mother of two, yoga teacher, writer, artist and lover of nature. All her classes are inspired by the raw imperfect flow of life and so all her classes are taught with a wide-open heart. Yoga can be dated back as far as 3000 B.C and was primarily practiced in the east by Buddhists, who had the primary goal to use yoga and meditation to bring about a “profound positive transformation in a person”. Today, using yoga and meditation couldn’t be more fundamental, as society has changed, it has brought with it more “stressors” on the body and mind then it was designed to cope with. Our bodies were designed to move and our minds were designed to become still…However, with today’s stress, suppressed emotional tension, long working hours sitting at computer desks or in cars; our hunched over slouched bodies trap energy, becoming stagnant if not released. When the energy remains trapped it can manifest into aliments and illness and the body and mind become sick. Yoga works the body and mind, cleansing the energy channels to reduce or completely eliminate the cortisol hormone in the body that triggers stress and illness. Yoga tones the body, increases flexibility and can prolong your life! 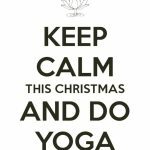 Enjoy a sense of complete health, peace, happiness and tranquillity, by living and feeling in the present moment with yoga. We hope you enjoy all your classes, we hope to get you hooked, healthy and living the freedom of a healthy life.